Safe Site offers pick-up and delivery service at your location, as well as direct and restricted access to files in our warehouse and total control of all your documents. You will be able to access or request document delivery at any time, 24 hours a day and any day of the year. We’re here to support you in any emergency you might face. 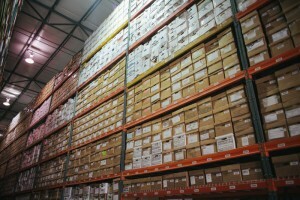 Our facilities were specifically designed for the storage of dead files. We have automatic systems for security and fire hazard, as well as top-trained security guards 24 hours a day. All our employees are fully trained to follow the correct procedures while handling confidential documents. Our facilities have restricted and documented access; there’s no entrance without prior authorization from the client and the person who enters is always accompanied by a member of our staff. Our top-line vault has temperature/humidity control and fire hazard prevention system (halon gas) to keep sensitive media safe, such as computer tapes, microfilm, microchips, rolls, cartridges and optical discs. We also have a system designed to help you rotate magnetic tapes for your computer system and the reuse of storage tapes. 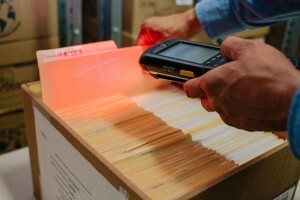 Safe Site uses high tech devices for computarized file management. Our automatic barcode system provides you with electronic, fast and precise tracking. This means that each time a container or file is moved, it leaves behind a track of the destination place and a full history of where it’s been and who’s authorized movements. Our digitalization services is fast and efficient: we have high-speed scanners that can digitalize 60 pages per minute at 200 dpi (print-quality resolution), which we then deliver to you via electronic media. 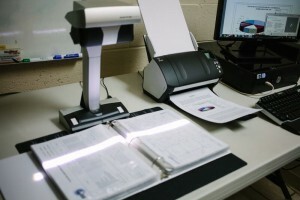 “Scan-on-Demand” eliminates the costly process of digitalizing all files within a box. With this service, only the documents that the client requests are directly digitalized from the appointed box and then immediately sent via electronic media. 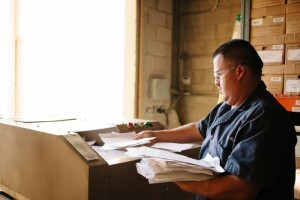 For information that has completed its period of retention or that contains sensitive data, we have high-speed paper shredders, as well as paper containers with lock that are directly delivered in your location to retain them until they are expired and ready to be shred. We provide our clients with a destruction certificate.